Two of the best-known prisoners in literature are Edmund Dantes and Jean Valjean. The novels in which these legendary characters feature—The Count of Monte Cristo (1844) and Les Miserables (1862)—are set in early-19th-century France, when prisoners typically endured long sentences of hard labor and had very few rights as parolees—if they were fortunate enough to be released. In their respective stories, Dantes and Valjean are profoundly impacted by brutal treatment at the hands of cruel jailers, though Dantes has been falsely imprisoned and Valjean jailed for a minor offense. Both men emerge from captivity worse for wear: one seeks revenge on all who have wronged him, and the other steals from a kindly bishop who offers him dinner and a bed. In spite of their negative experiences as convicts, however, both become heroic figures. Their experiences make for great fiction, but what about today’s reality? Can veterans of the modern penal system become successful, fully functional citizens in the real world? And what principles regarding the restoration of offenders can we establish? A few years before these novels were published, another famous Frenchman had been touring the United States. The purpose of Alexis de Tocqueville’s 1831 visit to America—which led to the publication of Democracy in America in 1835—was to study the American penitentiary system. Beginning in the late 18th century, reformers such as Jeremy Bentham and John Howard had brought the appalling conditions in many British prisons to the public’s attention. At the time, European prisons emphasized harsh punishment, hard labor and strict discipline. Unsanitary conditions led to outbreaks of typhus and other diseases. Of interest to the French government, and to the rest of Europe, was a new idea emerging in the United States regarding the purpose of the criminal justice system: to rehabilitate prisoners. The Pennsylvania system, shaped in large part by Quaker ideas, proposed that solitary confinement would encourage prisoners to reflect on their misdeeds, study the Bible, pray, and eventually become repentant and seek to lead a better life upon release. Prisoners spent day and night in their cells, each of which had a small adjoining yard for exercise. They ate alone and worked alone at various crafts and had almost no contact with other people. The Auburn system also employed solitary confinement, but only at night. During the daytime prisoners worked together under strictly imposed silence, producing goods to be sold by the state. Both systems forbade interaction between inmates to prevent negative influences and to encourage prisoners to reform through contemplation of their crimes (the word penitentiary comes from the same Latin root as penitence). By the middle of the 1800s, the Auburn system was more prevalent in the United States, while the Pennsylvania system became a model for prisons in other parts of the world. But while physical conditions may have been an improvement over the filth of older institutions, solitary confinement took its toll on inmates in the same way that it does today. It is regarded as the most severe punishment a prisoner can be forced to endure. Because it is known to pose serious mental health hazards, the practice is now used only sparingly. Specific approaches and actual methods may have evolved through the years, but rehabilitation became the primary goal of various criminal justice systems around the world. The extent to which this ideal affected conditions within prisons and jails, however, varies widely across geography and time. As the Pennsylvania system illustrates through well-intended but misguided use of solitary confinement, there is often a gap between theory and reality. Over the course of the 20th century, the rate of re-imprisonment of individuals for further offenses (recidivism) belied the notion that the penal system was successfully rehabilitating prisoners. As a result, an important policy shift took place in the United States: “Through the last decades of the twentieth century, the patchwork system of American criminal justice turned away from the rehabilitative project first attempted in New York and Pennsylvania,” writes Western. By the 1970s, U.S. policy experts had become skeptical that prisons could prevent crime by reforming their inmates. The historical record itself led many to believe that rehabilitation was an unachievable goal. Former U.S. president Ronald Reagan expressed the growing feeling in a 1984 speech to the National Sheriff’s Association: “Choosing a career in crime is not the result of poverty or of an unhappy childhood or of a misunderstood adolescence; it’s the result of a conscious, willful, selfish choice made by some who consider themselves above the law, who seek to exploit the hard work and, sometimes, the very lives of their fellow citizens.” The president’s view that incarceration and punishment act as “a strong deterrent to others who might choose a life of crime” contributed to what Western reports was a sevenfold increase in the population of American prisons between 1970 and 2003. During this period, lawmakers instituted mandatory prison terms and longer sentences for second and third offenses. Both the frequency and the length of incarceration for drug-related offenses skyrocketed. Drug offenders made up 59 percent of federal prisoners by 1998, up from 25 percent in 1980, according to the U.S. Office of National Drug Control Policy. By the turn of the millennium, the burgeoning population of the American prison system had far outpaced that of Western Europe. In 2001, reports Western, the U.S. rate stood at 686 per 100,000 citizens, up from 275 in 1983. The next-highest incarceration rates were those of Russia (628) and South Africa (400). During this period the U.K. numbers, which were the highest in Western Europe, also increased (though at a much lower rate than in the United States), while rates in Germany and Denmark actually fell. It’s easy to understand how these issues can be overlooked; what happens behind the walls of the nation’s jails and prisons is, for the most part, out of the public view. And yet, according to figures compiled by the U.S. Department of Justice (DOJ), in 2009 more than 7 million adults spent time in U.S. prisons and jails, or on parole or probation. This is a staggering number. A quick glance at U.S. demographic information reveals the disproportionately large number of African-Americans and Latinos serving time in the nation’s jails and prisons. Taken together, they make up about 60 percent of inmates. Yet these two ethnic groups combine to make up less than 29 percent of the nation’s overall population. Unreformed ex-convicts can have a destabilizing effect on any population, but especially on African-American and Latino families and communities because their numbers are so out of proportion. The resulting cycle of poverty and crime has proven difficult to break. Just how pervasive are the effects of a brush with the criminal justice system? Princeton sociologist Devah Pager focused on one significant area of interest. In 2007 she reported the results of a small-scale study into the impact of incarceration on employment opportunities in the Milwaukee, Wisconsin, area. She found, not surprisingly, that the well-educated young men who participated in the study by taking turns posing as ordinary job seekers or as recent parolees had vastly different experiences depending on their race and their professed incarceration history. Her white participants were twice as likely to be invited back for a second interview if they did not report a criminal background on their job applications. Her black participants were less likely to be called back at all, but they also felt the stigma of a criminal record more often. Difficulties in finding employment are a factor in high rates of repeat offenses among ex-convicts. Failure to reintegrate former prisoners into society is not an exclusively American problem, however. Nor is employment the only issue. 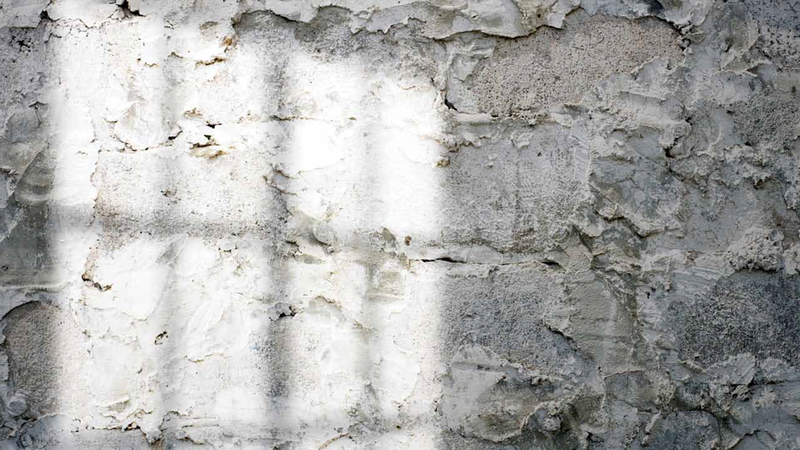 A 2008 Australian report focuses on the need to address the mental health of prison inmates both before and after their release. Citing studies done in Australia, Britain, Europe and South America, the report notes the high incidence of suicide, drug abuse (including fatal overdoses) and mental illness among recently released convicts. In some cases, individuals suffered from mental problems even before imprisonment. Rather than confronting such issues and working to alleviate them, most prisons ignore them. Thus, by the time of a prisoner’s release, mental problems are typically unchanged or have worsened. The report notes, “Within the interlinked domains of self harm, overdosing and mental illness, the failings of the traditional prison regime in rendering people fit to resume their place in the community are obvious” (“Healthy or Harmful? Mental Health and the Operational Regime of the New ACT Prison”). It isn’t an isolated story. By not rehabilitating and working to reintegrate offenders, the system contributes to destabilizing families and communities. In effect, it can also perpetuate criminality by sowing its seeds in the next generation. Stable families and communities are key to both rehabilitation and crime prevention. They depend not only on the solid moral teaching of children but also on parental example. Bennett places a great deal of importance on home life during the formative years and on the strong moral foundation that religious faith and good parenting can provide. Who can argue that prisons everywhere would be less full if more people had grown up in such an environment? But what about those who for whatever reason have already committed crimes? One of the main issues consistently raised in discussions about the penal system is how to bring about real change in the hearts and minds of convicted criminals. Funding for educational programming is the most common answer. But is this just a fantasy? Does money spent to bring about general reform actually produce results? Or is a better way to first determine what each individual is willing to do? These issues bring us back to the purpose of Tocqueville’s visit to America: to study the concept of a penitentiary where rehabilitation would take place. Real, lasting change—for better or worse—cannot be forced on human beings. We have seen this in the astonishing ability of oppressed people around the world to resist dehumanization at the hands of corrupt and brutal governments. We have also seen it the other way around: no matter what educational opportunities are made available, the world is still filled with hatred, intolerance and violence. The only way lasting reform can be achieved is when individuals are motivated to change and take the necessary steps to do so, whether on their own or with the help of others. Long ago, the apostle Paul offered a blueprint for this kind of change. To the congregation at Ephesus he said, “Let the thief no longer steal, but rather let him labor, doing honest work with his own hands, so that he may have something to share with anyone in need” (Ephesians 4:28). It is not enough to stop or be forcibly prevented from doing something wrong. The temptation is still there, and no real change has yet taken place. Paul tells us that we also need to start doing the right thing. In this example, the thief must do the opposite of what he used to do: rather than steal, he should work and be generous with the fruit of his labor by giving to those who are in need. The basis of Paul’s teaching was the law of ancient Israel. They operated under a system of justice whereby many lawbreakers—those who did not pose a threat to the safety of others—could be restored to the community and remain productive citizens. Rather than being relegated to an unfruitful confinement, they were to make restitution to their victims whenever possible; they paid their debt to society by taking responsibility and making the other party whole again: “When a man or woman commits any of the sins that people commit by breaking faith with the Lord, and that person realizes his guilt, he shall confess his sin that he has committed. And he shall make full restitution for his wrong, adding a fifth to it and giving it to him to whom he did the wrong” (Numbers 5:6–7). This principle applied to specific violations as well: “If fire breaks out . . . , he who started the fire shall make full restitution” (Exodus 22:6); “If anyone sins and commits a breach of faith against the Lord by deceiving his neighbor in a matter of deposit or security, or through robbery, or if he has oppressed his neighbor or has found something lost and lied about it, swearing falsely—in any of all the things that people do and sin thereby—if he has sinned and has realized his guilt . . . he shall restore it in full and shall add a fifth to it, and give it to him to whom it belongs . . .” (Leviticus 6:2–5). By contrast, today’s criminal justice system once again focuses almost entirely on punishment. Restoration—whether of the victim or the perpetrator—doesn’t generally figure into the equation. While some communities have established programs that try to address the rehabilitation of prisoners after they are released, these efforts have been few and typically enjoy limited success. This is partly because the environment into which these individuals return—friends, family, community—often remains unchanged. Despite the best of intentions on the part of some who are set free, they may find themselves pulled back into old patterns and habits. Unfortunately the current system simply isn’t set up to rehabilitate those who run afoul of the law. After all, that would require the ability to undo all the negative influences that affect people throughout life, and to instill principled character in everyone. It is only on an individual basis that convicted criminals can not only work to free themselves of the stigma that a prison record can bring but also to motivate themselves to change—to begin living according to the moral code that says, “You shall love your neighbor as yourself” (Leviticus 19:18; Galatians 5:14). God offers true and complete forgiveness to those who seek it and who sincerely want to change. In a vivid illustration of God’s great mercy and graciousness, Isaiah was inspired to write, “Come now, let us reason together, says the Lord: though your sins are like scarlet, they shall be as white as snow” (Isaiah 1:18). When Jesus was confronted with a woman caught in adultery, rather than condemn her, he said, “Go, and from now on sin no more” (John 8:11). God’s desire is for individuals to strive for lasting change; He will not withhold His mercy from those who diligently seek it. The prophet Jeremiah describes a time yet future when no longer will one generation suffer for the mistakes of the previous one. People “shall no longer say: ‘The fathers have eaten sour grapes, and the children’s teeth are set on edge’” (Jeremiah 31:29). Nor will a criminal intent plague the hearts of people who today, whether by conscious choice or unfortunate circumstances, give in to the temptation to do wrong. The prophet foresaw a time when God “will put [His] law within them, and . . . write it on their hearts” (verse 33). This is the future that God offers to humanity. Only then will there be total restoration to an ideal that has eluded human societies to this point. In the meantime, individuals who want to live according to that higher standard, and to begin to change their lives, can make the decision to do so now and get the additional spiritual help they need. Australian Capital Territory Community Coalition on Corrections, “Healthy or Harmful? Mental Health and the Operational Regime of the New ACT Prison” (2008). Todd R. Clear, George F. Cole and Michael D. Reisig, American Corrections (8th Edition, 2009). Kathleen Maguire and Ann L. Pastore (editors), Sourcebook of Criminal Justice Statistics (2005). Robert Martinson, “What Works? Questions and Answers About Prison Reform,” in National Affairs (Spring 1974). Devah Pager, Marked: Race, Crime, and Finding Work in an Era of Mass Incarceration (2007). Vera Institute of Justice, “Confronting Confinement: A Report of the Commission on Safety and Abuse in America’s Prisons” (2006). Bruce Western, Punishment and Inequality in America (2006).